Author richard@bpcfixings.comPosted on 25th January 2019 25th January 2019 Categories NewsLeave a comment on Investment in new vehicles boosts BPC Building Products warehouse and distribution capability. 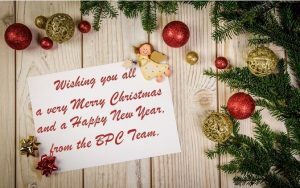 To all of our valued customers and suppliers Merry Christmas and a Happy New Year from all the Directors and Staff at BPC Building Products. BPC Managing Director, Gareth Simister. BPC Building Products is excited to be exhibiting at the 2018 Build Show Exhibition, at NEC Birmingham between 9-11 October 2018. Visit us on stand B08 for more details and to take advantage of the exclusive promotions that we will be offering on the day. Visitors will also have the opportunity to meet with our team and browse our vast range of products, including our selection of builder’s metalwork, plasterer’s accessories and fencing, decking and gardening supplies. The Build Show will feature the latest advancements in building products, policy and projects, all designed to help building professionals stay up-to-date and one step ahead of their competitors. We look forward to seeing you and your colleagues at the NEC. 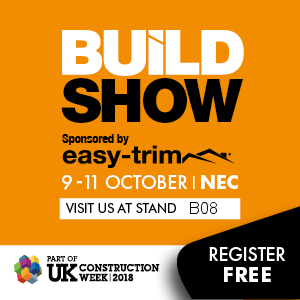 Register for your free ticket by clicking here or on the Build Show banner above. 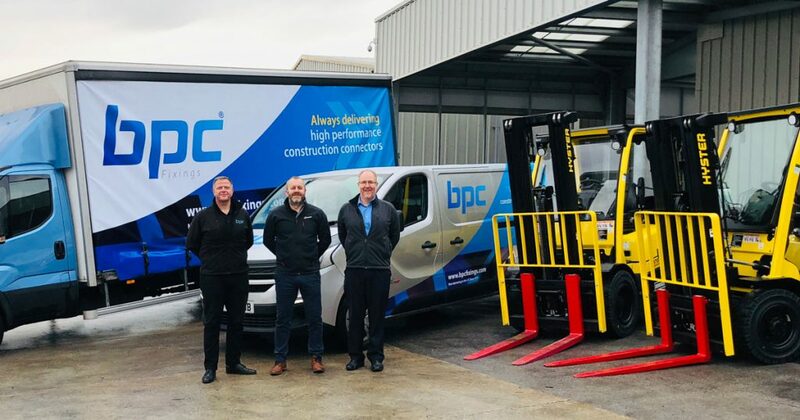 We are very pleased to announce BPC Building Products Ltd, has joined Vista Engineering, in a move which sees the group strengthen its position in the UK market and significantly enhance the product range offered to its customers. 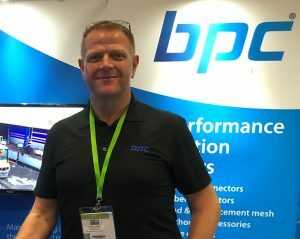 “There is a tremendous amount of synergy between BPC and Vista, and bringing the two companies closer together will generate additional benefits for both sets of customers,” explains BPC Managing Director, Gareth Simister. “We’re delighted to welcome BPC as part of the expanding Vista group,” adds Vista managing director, Phil Travis. “We have worked together as distribution partners for many years, and look forward to strengthening the relationship we’ve already established”. BPC Building Products is pleased to announce that we will be exhibiting at the 2018 NMBS Exhibition, at the Ricoh Arena, Coventry on Wednesday 11th April. Visit us on stand 255 for more details and to take advantage of the exclusive promotions that we will be offering on the day. We’ll also be giving away T-Shirts and gift bags to the first 100 visitors to pop by our stand. Managing Director of BPC, Gareth Simister comments: “We are looking forwards to exhibiting at this year’s NMBS Show and welcome both new and existing customers to visit our stand. Everyone that comes along to meet with our team can find out first hand why an increasing number of merchants are choosing to stock our high quality building products. The NMBS (National Merchant Buying Society) is the buying group that represents independent construction merchants throughout the UK. The exhibition is one of the leading events for independent businesses within the trade sector and attracts increasing numbers of visitors’ year on year. Over 280 supplier and manufacturers will be exhibiting at this year’s show, making it the biggest buying and selling event for Independent Builders, Hardware, Timber, Roofing, Plumbing and Heating Merchants. 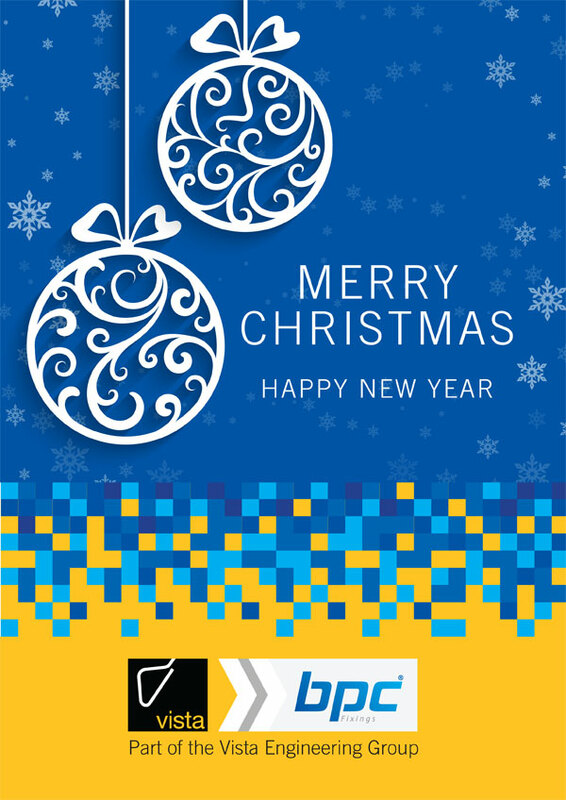 We look forward to seeing you and your colleagues at the Ricoh Arena. To learn more about the 2018 NMBS Exhibition or to register to attend the event, visit: https://www.nmbs-exhibition.co.uk/. BPC Building Products has celebrated its 40th anniversary. 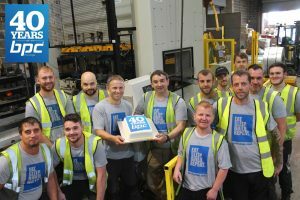 To mark the occasion, a day of celebration took place on Tuesday 19th September, exactly 40 years’ from when the family owned and operated company was first incorporated. The event included a visit from the mayor of Wakefield, Mr Kevin Barker. From its beginnings in 1977, BPC Building Products has grown into a national business supplying a range of constructional and DIY markets. The company now manufactures and supplies fixings, gardening, decking and fencing ranges to construction sites and DIY’ers across the United Kingdom and Europe. Wakefield remains the headquarters for BPC Building Products, with its advanced manufacturing and warehousing operations. The company has achieved significant growth over the last five years with a 170 per cent increase in turnover. Ongoing improvements in service has been one of the reasons for rapid growth recently, including next day delivery and with no minimum order quantity for its merchants and distributors. While BPC initially focused on builders’ metalwork products such as joist hangers and restraint straps, demand from customers resulted in range extensions over the years. These include plasterers’ metalwork as well as fencing, decking and gardening ranges. Recent major investments by BPC Building Products include £500,000 to upgrade and expand its Wakefield warehouse and manufacturing facility, creating up to 10 jobs in the process. 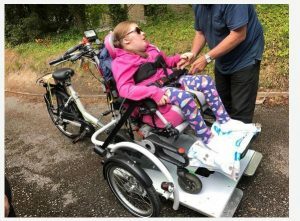 The project was part funded by a Leeds City Region Enterprise Partnership (LEP) grant of £80,000. The investment project will enable the company to further increase its market share in both the UK and European construction markets. For more information email: sales@bpcfixings.com or call 01924 364794.